Tracking your cycle and your fertility has never been so easy. Basal body temperature tracking is a fundamental part of the Fertility Awareness Method (FAM). I teach this method to my clients primarily to support them in understanding their cycles and their bodies on a deeper level. FAM can be used to aid in conception or it can support avoiding pregnancy naturally without synthetic hormones or side effects. FAM is an empowering tool for women to take control of their reproductive health. 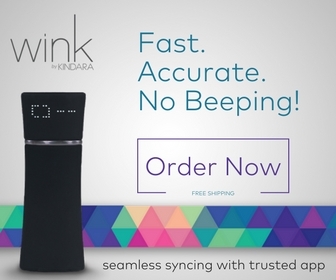 WINK simplifies the basal body temperature process through it's technology. The digital thermometer is highly accurate. When you take your temperature first thing in the morning, it sends the reading to your phone and tracks it via the WINK app. It takes the stress out of taking your basal body temperature and tracking your cycle.